AToM was established in 1991 to provide a comprehensive mortgage service arranging all types of mortgages for all types of people. Call us now to find out how we can help you. We have 25 staff in this office, 6 others based in various locations around the UK. All Types of Mortgages Ltd (AToM) is an appointed representative of The On-Line Partnership Ltd which is authorised and regulated by the Financial Conduct Authority. 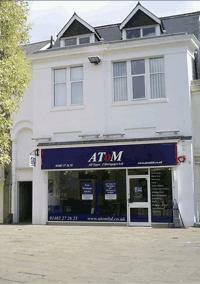 AToM specialise in arranging all types of mortgages. So whether you are a first time buyer, self employed, had credit problems, or just want a better rate of interest, AToM can help. Commission based or fee based.